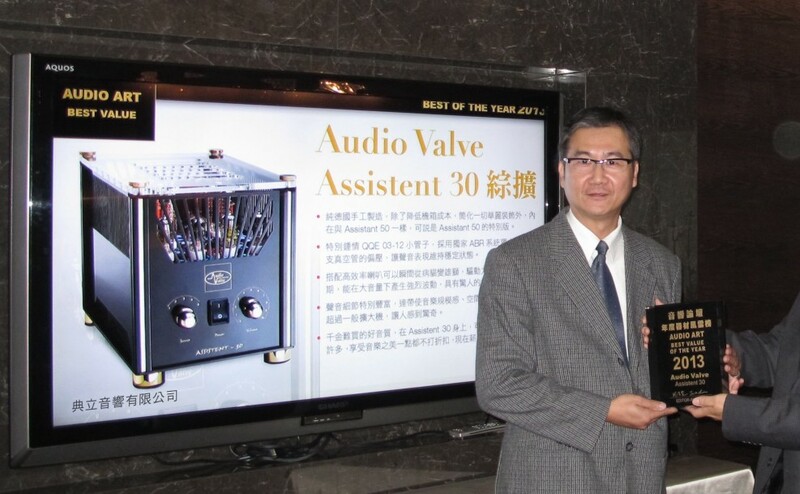 By popular request of the AudioValve Fan Community, AudioValve proudly presents a succession model within the Assistent series, the Assistent 30. 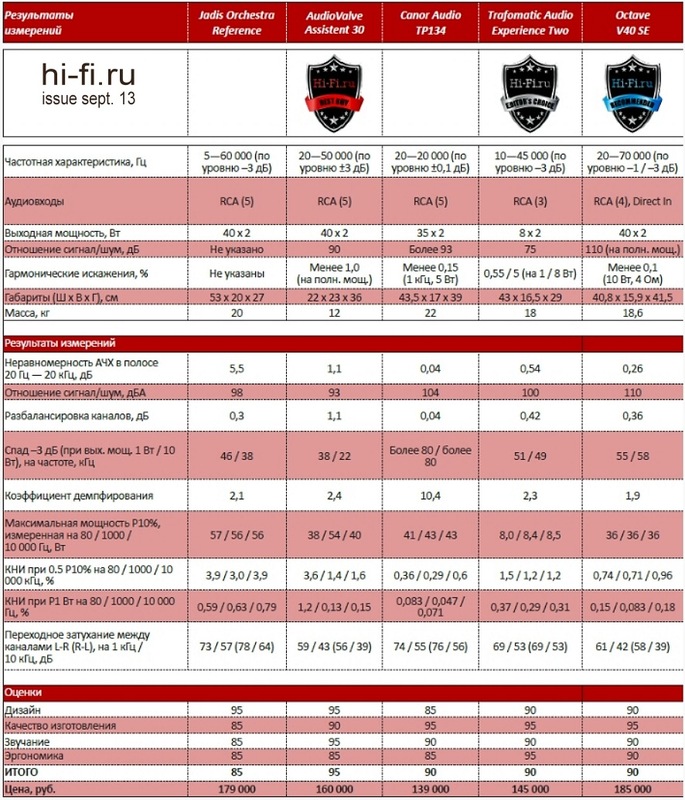 Several reports around the globe document time and time again the excellent sound performance of the sophisticated construction of previous Assistent series. 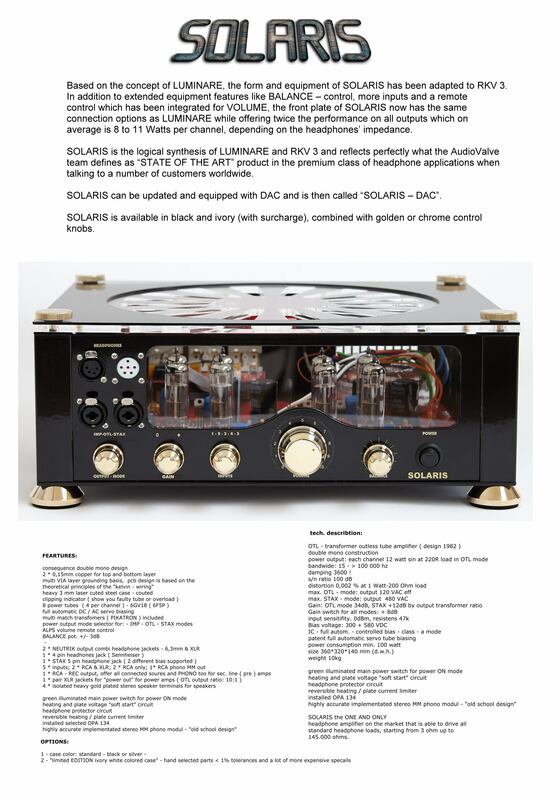 We have to thank you, dear fan community, it is owed to your loyalty to the product that we at AudioValve did not avoid expenses nor troubles to develop a new unit based on the trusted basics, which allows for your demand for "more performance and comfort". 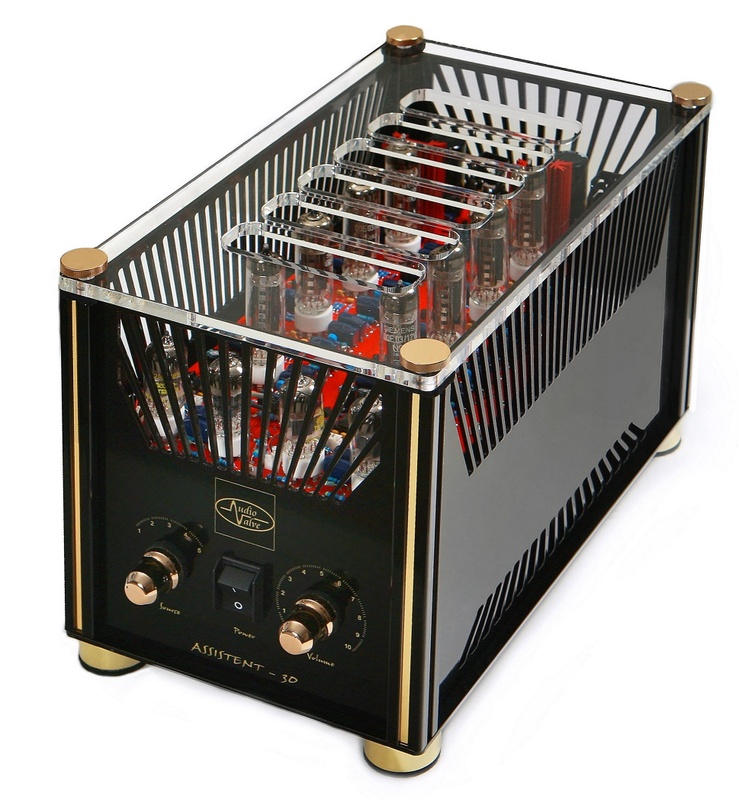 Just like before, today power tubes type QQE are employed, but now 8 tubes � four per channel, developing full minimum 2 x 40 Watts, reflecting a sound transparency that was and still is proverbial for this series. True to the slogan: "Once Assistent - always Assistent." One of the original features of the Audio Valve products is to be found in the utilisation of the valves in such a way that they operate as closely as possible to their ideal reference values each according to its type. One recalls, for instance, the output pentode-triode PCL 805 and most particularly the small beam tetrode with a common cathode QQE 3/12. This valve with a noval (nine pin) base was manufactured formerly by Valvo, Philips and Telefunken and SIEMENS etc. (the latter was used in our test amplifier) It has a per plate power dissipation of 7,5 W and may be used with plate voltages ranging from 200 to 300 V. This valve, according to Helmut Becker, is ideally adapted to be integrated in a circuit which includes another very innovative concept, an automatically operating grid bias control, refered to as "ABR" and used to great advantage in the integrated amplifier Assistent - 30. 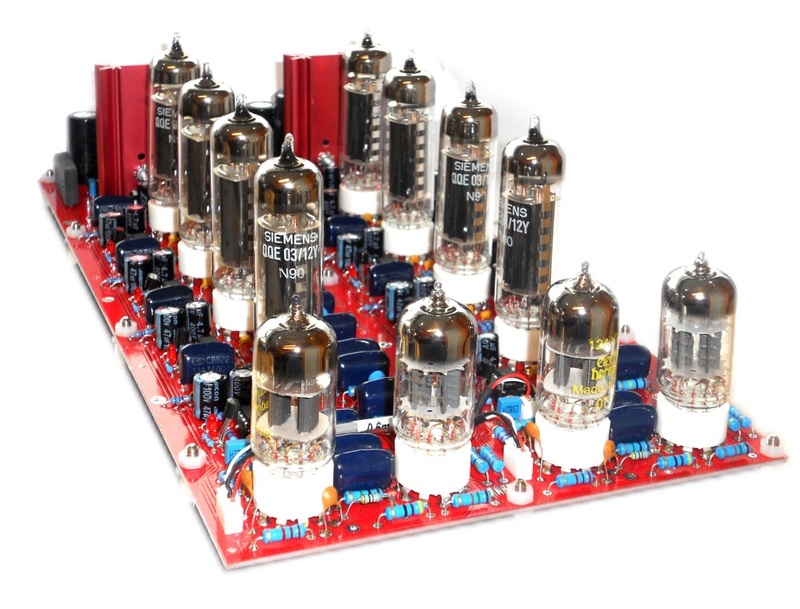 The amplifying circuit uses 12 valves, but the push-pull output stages are coupled to the specail unique ABR circuit for each power tube. This exclusive AudioValve feature, allows a comparison of the reference voltage value with that engendered by the quiescent current and which appears at the terminals of a small value resistance in the return cathode circuit. A small operation amplifier monitors, as comparator, the divergence and deliverers the compensation voltage to the grid of the valve. Each valve, young or old, reaching reference values or not is thus compensated in its Grid bias to operate at a value which corresponds to its optimal quiescent currant. A red shinning LED diode, at the foot of each value lights up preventing the use of inadequate or defect valves. 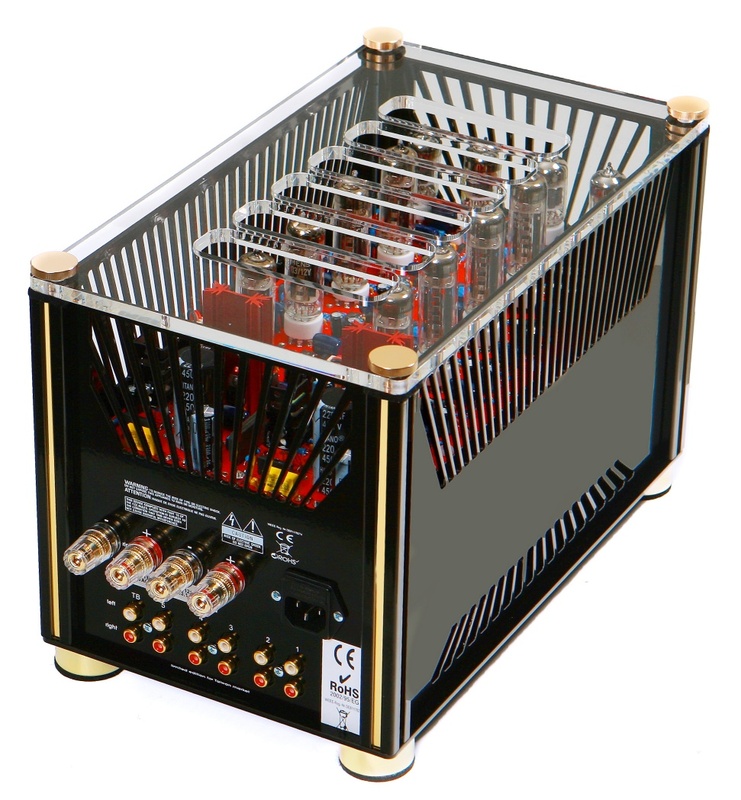 For each channel the input stage and driver stage are served by an almost known noval valve, the double triode ECC 82 and ECC83. The classical chassis has been set into a caisson (a case-like frame). The valves sit in their sockets mounted on a double side printed circuit board. Little columns support the glass cover preventing dangerous hand contact burns or electric shocks could ensue conforming to the CE requirements. The cooling is achieved through the rearsides and topglas. The minimal controls mounted at the front consist of and a volume control the two channels and input selector being coupled in their operation by a remote control. At the back are the cinch input sockets, two pairs of output terminals and the main connector with the main power fuse. 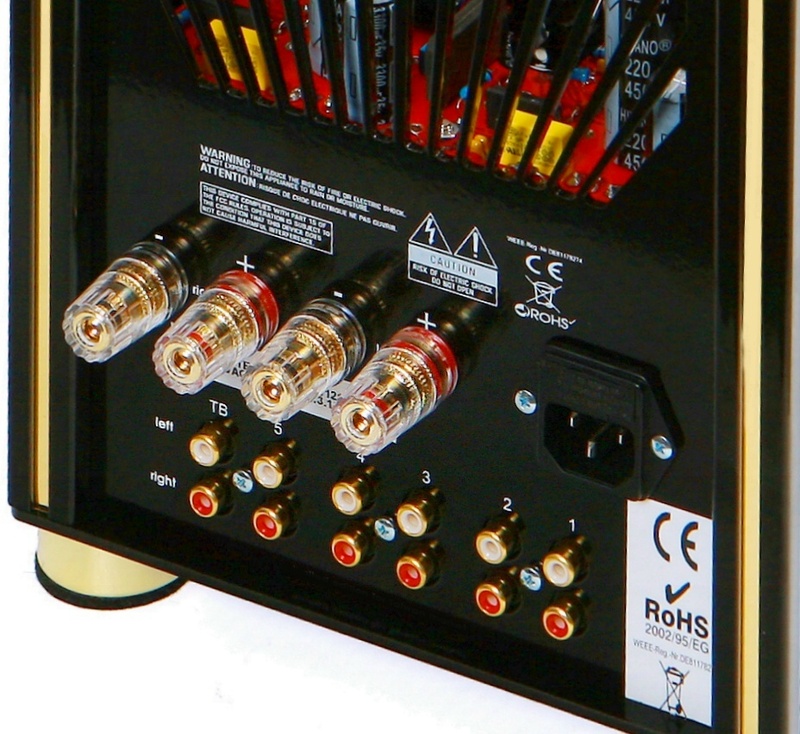 Most of super Highend fans also know this 's from AudioValve, the highest grade of amp. 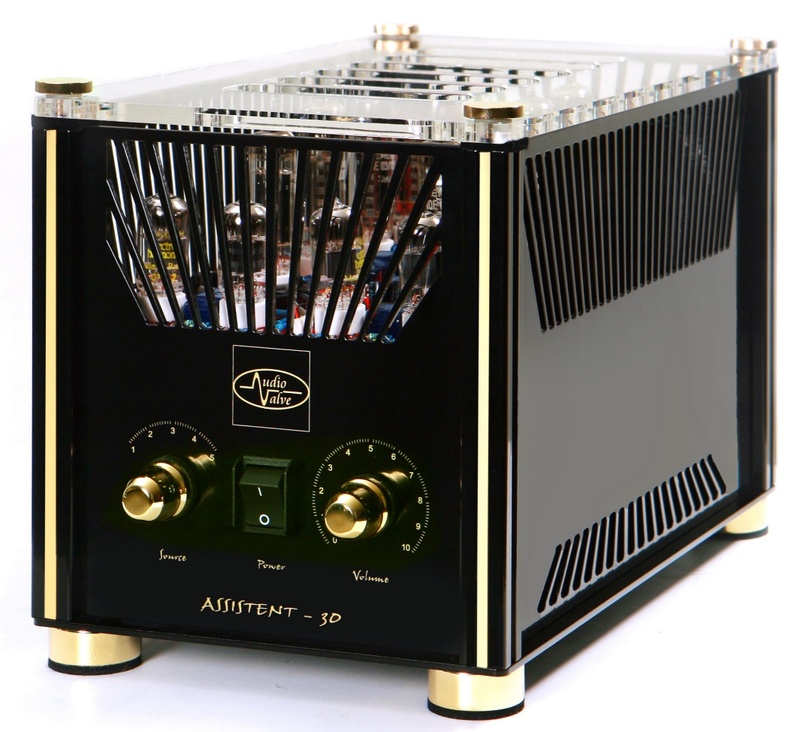 Best of all: Germany's best address for output transformers - Pikatron - in collaboration with Audio Valve develop the ultimate higend output transformer designed for the Assistent 30 and gives the amp a superior sonic and hightech measurement characteristics. 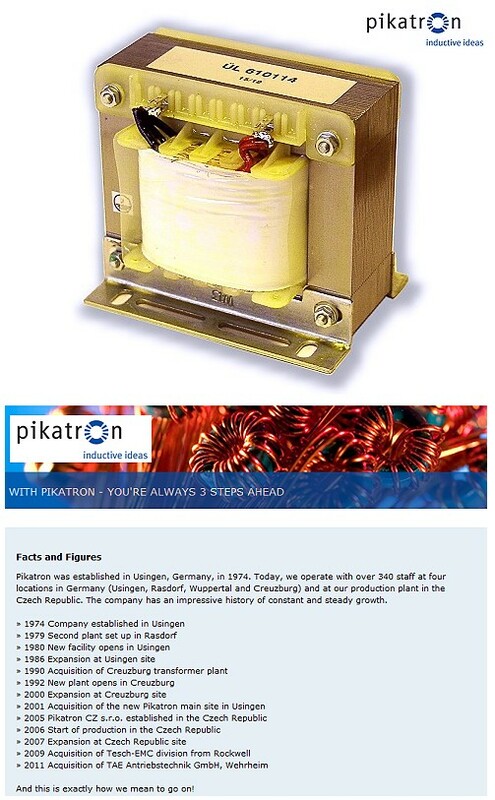 One of the leading European manufacturer of transformers produce for the AudioValve model Assistant 30 the output transformers - Pikatron. 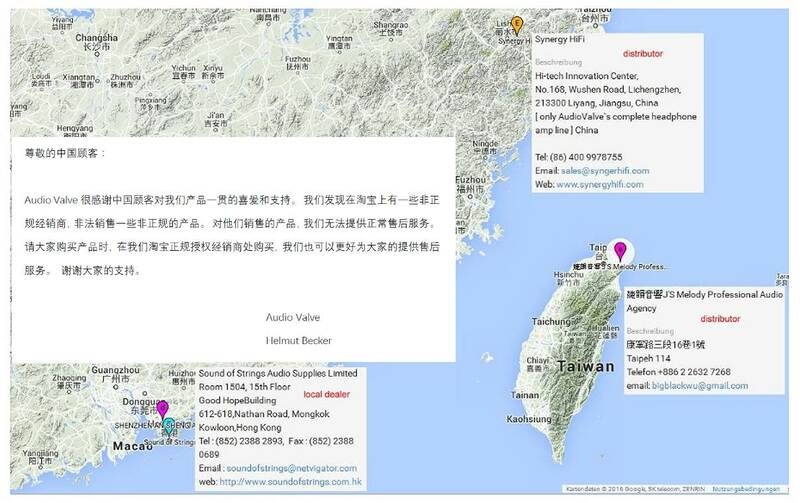 CHINA audio magazin review ..